Harry Alan Segal, CPA, is the Chief Financial Officer (CFO) for Medicare Compliance Solutions. 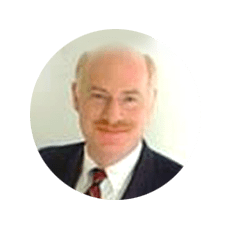 Harry also has expertise with Medicare Advantage grievance and appeal audits, marketing material creation, review and submissions to the Health Plan Management System (HPMS), and conducting FWA audits. Harry has over twenty years of experience with Credit Union compliance and assurance audits. His professional experience includes performing internal audits, Office Of Foreign Assets Control (OFAC) and Bank Secrecy Act (BSA) audits. Harry was the CEO of an $11 million non-profit credit union for 7 years. In his work with Federal regulators and auditors, his annual compliance audits received high grading results and five stars from outside rating groups. He created policies and procedures to comply with regulations and performed OFAC and BSA reviews. Harry has expertise in establishing, performing, and monitoring internal controls. Harry has been a licensed CPA since 1988. In his role at MCS, he oversees accounting, human resources, finance, payroll, as well as being a trusted counsel and support for MCS principals.